What’s New in the rest of the Webpage? I have added a personal tribute called A Ramble for Roger which I wrote to celebrate the career of Professor Roger Robinson, athlete, scholar and friend. You can find it among the Essays. I have also added a few more poems. You can find which ones. I am indebted to Chris Madden for this brilliant cartoon. For those who enjoy the wit of cartoons – an art form which sometimes pinpoints the dilemmas of our times with the precision of an expert darts-player – I recommend Chris’s work which can be found at http://www.chrismadden.co.uk. Chris’s cartoons range over many topics. Let me explain. I have decided to hold back on writing about Hans Arp – another dada artist and poet who’s work I enjoy – in favour of writing something about smoking, or rather not smoking. For the future, I have lots of topics piled up that I want to write about, but this one suddenly seemed more urgent. I listened to an interview a few days ago which covered the latest research on the effects of nicotine as an addictive, cancer-causing agent in cigarettes, and the actions of the well-known companies that make the cigarettes and who target the young and the vulnerable. Almost as bad as the cigarette companies are the advertising agencies who use their sophisticated arts to suggest that smoking is somehow mature or sexual or a desirable reward. The interview upset me because I thought the battle against cigarettes was being won by education. But, like the pro-nuclear lobby and those scientists who call themselves ‘skeptics’ with regard to global warming, the companies that promote cigarettes never give up. We are not playing games here. Both the science and the statistics are stark. Cigarettes are sophisticated killers and highly addictive. And before anyone says, “We each have the free-will to go to Hell in our own ways,” let me nod and say that in general way I would agree, but what kind of equation can bring together addiction with free will? Addiction destroys free will. Equally, how can we allow anyone to popularize and weave mystique about a product which is both addictive and a killer, simply for their own profit? Please think about it. The solution is not legislation. I have just heard that the New Zealand Govt. is proposing to ban cigarettes in prison. I suspect that whoever proposed or promotes this idea knows little about addiction. I believe the result will be an increase in violence and drug smuggling in prisons. Prisoners denied tobacco will end up smoking anything from sawdust to dry leaves. Patches only help those who want to stop. I think far too little is done as regards education in prisons… but that leads me away from the topic. I have, however, included an article at the end of this post. Regarding smoking, I speak with all the confidence of a former heavy… make that very heavy… I mean a pipe-smoke inhaling, cigar inhaling, dog-end-gathering-from-ashtrays-when-the-cigies-have-run-out-at–party-inhaling addict. I started when I was about 13 and I quit when I was in my 40s. And the only reason I was able to quit was because I knew that if I did not, I would be dead, and quickly too. But, I must admit that I wish I had never started. And I wish I had had the good sense not to drift into the habit just because it was what one did as a young man growing up where I did. That too was more or less my position until I woke up one morning with shooting pains in my legs when I inhaled my first, pre-breakfast, still-in-bed smoke. A couple of days later I became dizzy. Then I had a dream in which my stomach was on fire and black oily smoke was pouring out of my mouth and nose and ears. It was contaminating everything I touched. I woke up in horror, and I knew then that this was a death warning, that I would die if I did not stop. But my dilemma was that I knew I did not have the will power to stop. So, let us be very clear, my concern in this post is not with those readers who are smokers and who wish to continue; but with those smokers who enjoy smoking, who know they are addicted, but who, for whatever reason, want to stop: but can’t. After many failed attempts at stopping – and in something like desperation – I finally decided to take matters into my own hands and design my own programme for quitting. It is this which I now want to offer to anyone who is interested. I do not claim it is original. There are no patches and no costs. It worked for me, and it has helped friends who wanted to quit and who, like me, had suffered the ignominy of defeat. The first requirement – and really the key to the whole result – is that one must genuinely want to stop. This might be because of health worries, or to save money or to please a partner or … well there could be many reasons. But the desire to stop must be real. Without that, any number of little things can be brought into play which will erode one’s best efforts. If it is any help at this stage, let me just say that the desire to smoke declines quite quickly once you have managed to hold off having a cigarette for a while. The benefits appear quite quickly too. So, one has every reason to be hopeful, though the enemy never really sleeps. Choose a day when you will transform from being a smoker to a non- smoker. If possible, let the day have special significance – a birthday for instance. (It does not have to be your own.) Or the next full moon, or the first day of the holidays, or next Sunday. The day should not be too far away: not more than a week or ten days at most. Equally it should not be too close either, for your mind needs time to anticipate, to prepare itself for change. Up to that date of stopping, you can smoke as much as you want. Don’t be surprised if you feel the desire to stop getting stronger, but stick to your plan. The night before you stop will be very important. Prepare yourself. Know what you are going to do. When you finish that last cigarette – perhaps before going to bed – experience that last puff fully. Blow out, and take a deep breath in. Stub out the cigarette and then get rid of the dog-end and any others that have accumulated. Put them in the dustbin outside, You do not want the smell to linger longer than necessary. Wash the ashtrays and put them away on a high shelf. If you have spare cigarettes left, you can keep them. This may seem strange, but in my experience the very knowledge that there were cigarettes available should the desire to smoke prove too great, helped me. Later, when the danger of slipping back is over, you can throw them away. In preparation for stopping, make yourself a note-book. Four or five sheets of A4 folded in half and then stitched or stapled is all you need. On the left hand side of the pages drew three vertical columns. These are for the dates, and the times and the money saved. This little note-book will be your friend. Take a note of how much a packet of you favourite cigarettes costs. To get yourself through the first day, remember this. Separate ME (which is your physical body) from I (which is your mind, the essential you). In other words it is your body that is addicted and which has the craving. You, the essential you, wants you to be free of addiction, in command of your life in every way and which is now going to fight on your behalf. You will find very quickly that you can observe the operation of addiction in action. It is like a clever foe that tries to trick you, but it is not as clever as your mind. It is important to experience your addiction, almost as if you were seeing a film. Use your intelligence to feel the moment of desire to smoke. Previously you have simply reached for a cigarette: now you don’t. See what happens. How does the addiction attack you. What you are going to do over the next few hours is to start to make a friend of your addiction. That is the most cruel and destructive thing you can do to addiction, and eventually it will give up the fight for control because you will know all its tricks, and will have pulled all its teeth. So, you wake up, and (if you were like me) the first thing you do is reach for a cigarette. But this time you reach for your note-book and pencil. Write the date and the time and then a brief note about what you are feeling. E.g. 22 March 2011 7.04am $10 Feel relief that finally I’ve stopped. Off for a shower before I weaken. And so you go on. Each time you want to reach for a cigarette, note the date and the time and what you are feeling. What does your body try to make you do? 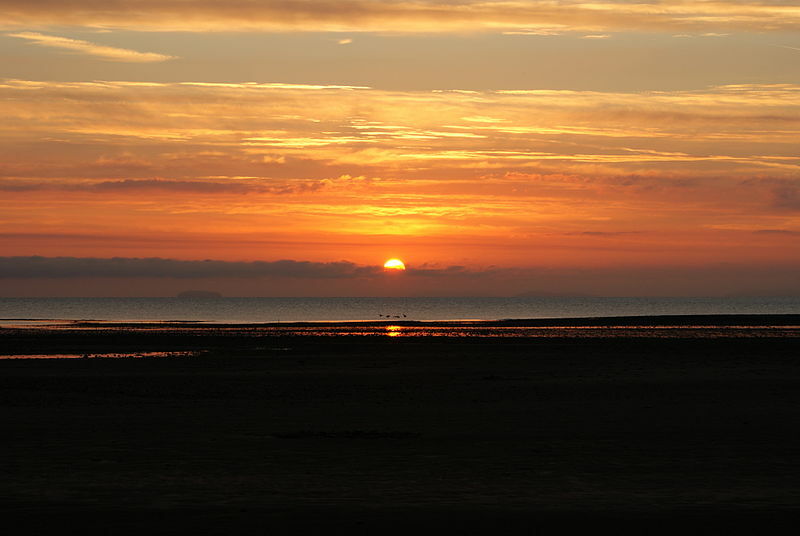 Does it undermine your resolve by inviting you to look ahead at a ‘bleak’ world of unsatisfied desire? 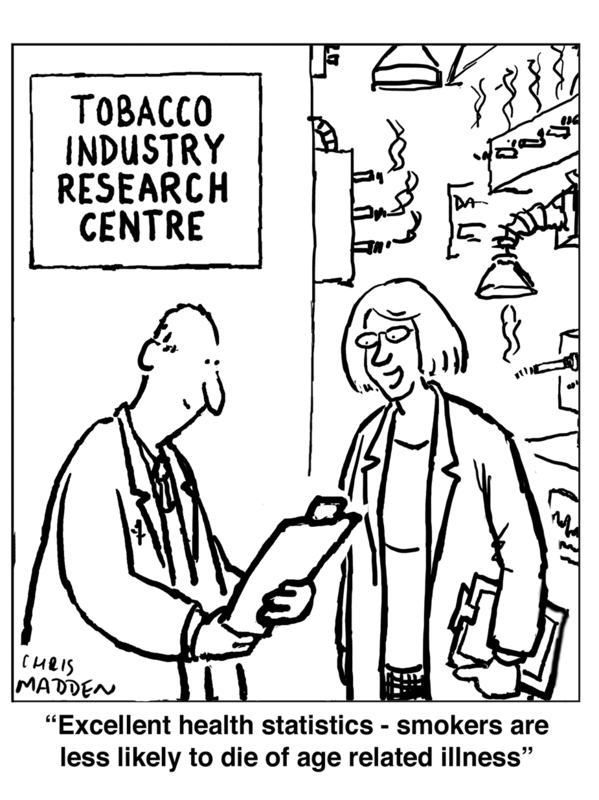 Does it suggest that just one puff won’t make a difference? Does it make you feel guilty for yielding to those do-gooders who tell you to stop because it is for your own good etc? Note it down, and know that each time you do, it is a triumph for mind over matter. Know also, that every second you do not smoke, your body is shedding the addiction. It is cleansing its self, and all you have to do is hang on. Try not to think of the future, but only of the NOW. When you get dressed put on clean clothes. Throw the rest in the washing machine. Believe it or not, all your clothes will smell of smoke. You may not be able to smell that now, but non-smoker can and so will you, later. If you can afford to throw away old T-shirts and underpants and socks, do so. Buy new, before long you will have saved enough money to do this without any hardship. If there is an item of clothing you have secretly wanted, now is the time to buy it. Suits and pullovers should go to the dry cleaners. You are re-making yourself… and you will be surprised at what you discover. Your sense of smell is shortly going to become more acute: let it guide you. You will also become very observant, watching others smoke. So you have made it to 10.30. You have five notes in your note-book – there should be more except that it is difficult to write when you are driving or on the bus. Smoko will be a bit of a test. Do you tell your colleagues, those with whom you normally stand outside when you are having a smoke, that you have stopped? My own feeling is that you should not. No one is indifferent to a person who is in the throes of stopping smoking. Either they make the way harder or they make you self-conscious with their good wishes. Neither are really helpful. It is a battle you fight alone. When I was trying out my system, I did not tell anyone that I was trying to stop. I lied. If someone offered me a cigarette, I said “No” and pleaded that I was feeling a bit off colour and had a sore throat or some such. At the same time, watch other people smoking. How acute is the yearning when you smell the smoke? If you feel tempted, toughen up. Go inside. Write a long note to yourself. Know this. The actual desire to smoke on any single occasion only lasts a few minutes. By now you will already know that not smoking a cigarette does not kill you… and that most of the time you are not thinking about smoking. If you can ride out the moments of addiction, it quickly subsides. Note too the frequency of your moments of desire. Are there any patterns beginning to show? Finding these things out is what I mean when I talk about treating your addiction as a friend. Eat well. Go for a walk. Go somewhere new. Try to see new things. Buy a new pair of shoes perhaps. Incidentally, please be ware that making yourself sweat is a good way of pumping the nicotine from your body. You then wash it off. It is up to you to devise the new things you would like to do. Whatever you choose, it should not be matter of sudden frantic exercise, but rather something that is sustainable and that you enjoy. Do not punish yourself – though it is not unknown to feel a bit guilty when you stop smoking, as if you are betraying your addiction. Frances Benjamin Johnston, full-length portrait, seated in front of fireplace, 1896. I like to subtitle this photo, “Her Last Cigarette” but of course it wasn’t. I am reminded too that the great storyteller and poet E. Nesbit died of lung cancer having been a heavy smoker most of her life. My thanks again to brilliant Wikipedia for this image. Eat well. If you have a drink, be on your guard as alcohol can weaken your resolve to quit smoking. However, so long as you remain reasonably analytical about what is happening, you can resist even the most fierce temptation… and keep your notebook up to date. Always remind yourself that you have been without a smoke for almost 24 hours. That is an investment. You have done it! All you no need to do is persist. Before bed, have another shower, treating yourself exactly the same way as you did in the morning. Incidentally, cleaning your teeth and cutting your finger nails can be quite important. Every action can be made into an affirmation. A new life: a new me. The Second Day… and onwards. The second day is pretty much like the first day, except that you are gradually earning yourself a few dollars without doing anything except not smoking. As the days pass and you know you are winning, you may also begin to smell the nicotine coming from your skin. You can even smell it on the curtains in the rooms. BEWARE. You are still only one cigarette away from being a smoker again. The first three/four days are the most crucial. After that the incidence of moments of addiction will start to decrease. When those moments occur they may be as strong as the first day, but they will not last very long and you can overcome them, having by now invested plenty of time and your note-book is filling up. Equally your body may begin to feel a bit different. You may want to drink more water. That too is a cleansing. You may also get a sore throat. I did. It was about six days after I had stopped and it lasted for over a week. I could hardly swallow. It was terribly painful, but at least I did not want to smoke because swallowing was so hard. I think the sore throat came about because the smoke and the tar and all the other chemicals that are in cigarette tobacco had up to then coated my throat with something akin to lacquer. That coating was now being destroyed and my throat was actually recovering. That thought brought me great comfort, and I had no difficulty in resisting the desire to smoke. Ina way, enduring the pain was also an investment. The following are the times to be very careful. Think of it this way. For the first few weeks you are only one cigarette away from addiction. If you do yield to temptation, DO NOT INHALE. And stub the cigarette out as soon as you can. Learn from that moment how easy it is to undo all the good work you have already done, and how careful you must be. THREE/FOUR DAYS. After this time you will probably not need your note-book, but it is a good idea to keep a tally of how much money you have saved. You will be surprised. You can buy something special. You will still be tempted to indulge, but you will have proved that you can withstand the temptation. Beware of being over-confident, however. And don’t accept a drag on someone’s cigarette ‘just for fun’. TEN DAYS. You think you have conquered the habit and addiction whispers, “Go on. You can’t come to any harm now. You have conquered me. One puff. One drag on a ciggy just for old times sake.” And you do! Fatal! One leads to another and with the inexorable logic of snakes and ladders, you are suddenly back at stage one with the whole bloody process to go through again. It may take you months before you are ready to try again, and you will hate yourself for being such a fool because the desire to stop will be stronger than ever as too will be your perception of the ruthless power of the addiction. It took me almost three years before I finally devised this system and managed to overcame the need to smoke. TWO MONTHS. This is the same as ten days though you may well get away with a few puffs – but common sense will now say don’t bother, because it will only be curiosity which tempts you. The plain fact is that once addicted, always addicted. The difference is that the craving is gone. Addiction is a sleeping monster: one that is very easy to wake up. I have not smoked for over twenty years, but I could start again tomorrow. I am not really tempted to do so, nor do I think about it from one day to the next, but I know how to smoke, what it feels like and it would be easy to slip back into the habit. The relief of that realization is enormous. So almost every day, in all humility, I thank my lucky stars that I managed to stop. I am not a man of great will power in these things. I needed the prop of my system. And if it helps you, then I am delighted. I think it also works for other addictions too. This happens every morning, every day. Prisoners will be forced to go cold-turkey on 1 July next year after a government decree to ban smoking. Corrections minister Judith Collins announced the measure today saying it was out of concern for the health and safety of prison staff. There was also concern about potential legal action from prison staff or non-smoking prisoners over exposure to second-hand smoke if no action was taken. Corrections head Barry Matthews said prisoners also used lighters and matches to damage property, such as throwing burning balls of toilet paper at guards and setting fires in their cells. He said he had considered the option of allowing it in designated outside areas only but that would have been problematic for staff having to shepherd prisoners outside for cigarette breaks and provide lighters. Neither Ms Collins nor Mr Matthews were smokers and conceded they did not know how difficult it was to quit. However, Ms Collins said the health of staff was their priority. Such bans were already used in Canada and in some Australian states. “Prisoners with alcohol and drug addictions have to deal with it. We don’t offer alcohol to prisoners with alcohol addictions or p to prisoners with methamphetamine addictions. This is a prison, it’s not a home.” Mr Matthews said Corrections had not consulted prison staff unions such as the Corrections Association over the measure. About 5700 prisoners currently smoke – two-thirds of the prison population. They are able to smoke in their cells as well as designated outside areas. While prison staff will still be able to smoke outside, prisoners will be completely forbidden from smoking and having lighters and matches..They will instead be offered tax-payer funded help to quit smoking. Currently prisoners can get an eight week course of nicotine patches through the Ministry of Health Quitline programme and Ms Collins said that would continue. No law change was needed to introduce the measure. 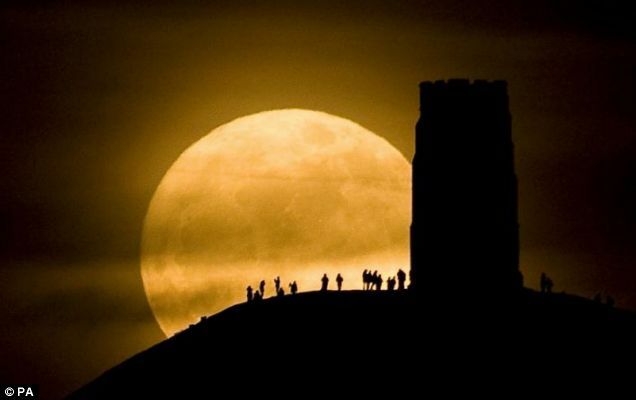 Revellers stand beside St Michael’s Tower on Glastonbury Tor watching the moon at its closest point to Earth. Sat 19th of March 2011. Thank you Metro for this iamage. Is that not a nice way to end this very down to earth and serious blog? Next time I promise more mystery.